St. Augustine is the oldest city in the USA, boasting more than 500 years of history. 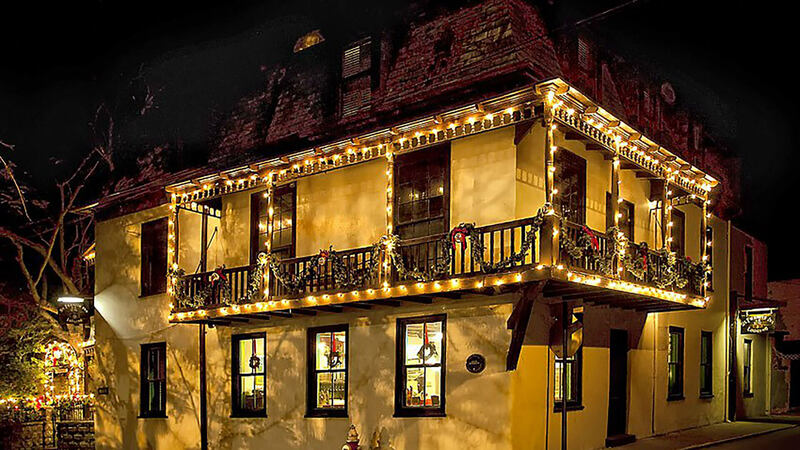 In this lovely St. Augustine bed and breakfast, romance and beauty abound. 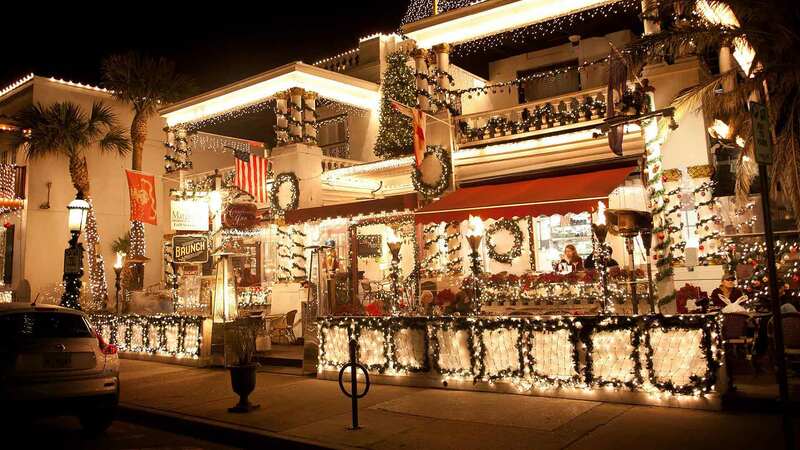 A peaceful retreat located in the historic district, the St. Francis Inn offers an ambiance that draws in many travelers. With its lush tropical gardens, cozy bedrooms with fireplaces and charming verandas, it may be hard to imagine that the inn has a darker, more mysterious side. But at the St. Francis Inn, many guests have had ghostly encounters—and there is one spirit in particular who makes herself known. Lily was a slave who worked at the inn in the 19th century. Historic accounts tell that the inn’s owner at the time had a nephew who lived there and that he and Lily were deeply in love. But their affair was ended when discovered by the Uncle, who fired Lily and ordered his nephew never to see her again. It wasn’t too long after that the young man took his own life in the attic, now called Lily’s room, and that is when the hauntings began. Many believe that the apparition of a young girl dressed in white is the ghost of Lily still lingering at the inn in search of her long lost lover. Guests have reported many strange events, from coffee makers turning off and on on their own, to bedcovers being whisked off in the middle of the night (when no one else is awake), to the sensation of a cold touch on the shoulder and awaking to find the contents of a purse scattered across the floor. By all accounts, Lily is a friendly, yet mischievous spirit, and many travelers request Lily’s room in the hopes of meeting her. Another quaint bed and breakfast in the ancient city, Casa de Sueños is the ideal hideaway for newlyweds and couples looking for a romantic getaway. Small and intimate, this Spanish-style inn was built in the early 1900s and has a rich and intriguing past. Perhaps most interesting is the fact that before it became an inn, it was a funeral home. For those who are curious about the existence of ghosts, Casa de Sueños promises the possibility of meeting Randolph, the resident spirit who’s known for his silly and playful antics. Among other accounts, guests have reported having personal items go missing and moved about—but most are just lost temporarily, because according to the staff and owner of the inn, Randolph always returns everything. The second oldest inn in St. Augustine, the Casa de Solana’s lovely Spanish-style architecture, with its charming courtyard exudes romance and relaxation. Named after its original owner, Don Manuel Lorenzo Solana, who was the patriarch of one of the first Spanish families in the city, the inn is well loved for its uniquely appointed guest rooms and delicious fare. In its earliest days, the Solana house was known for taking in injured soldiers, Native Americans and any traveler who was in search of a safe retreat. It’s also famous for its paranormal activity, so much so that it’s been the focus of numerous investigations. There are five areas in particular where visitors and staff have reported inexplicable activities: the courtyard, the parlor (formerly the confederate room), the dining room, the Montejurra room and the British suite. Supernatural accounts include hearing whispers and footsteps when no one is there, the sighting of shadows and items that just mysteriously disappear. 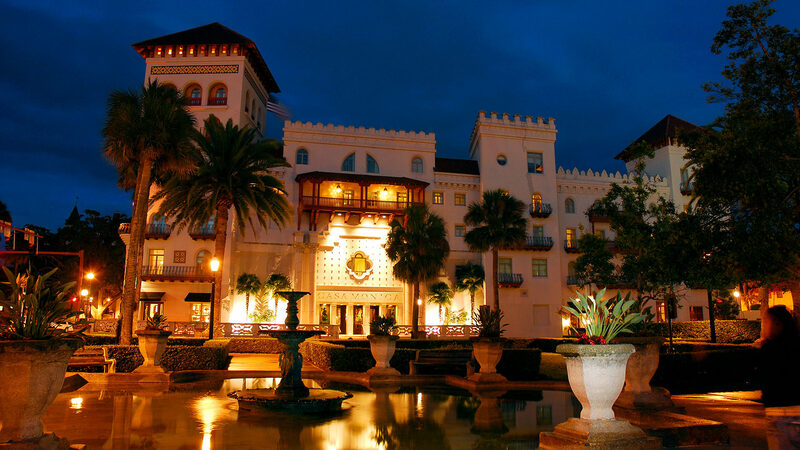 If you’re the least bit curious, book a room at any of these St. Augustine hotels to discover if spirits truly exist. And climb aboard Ghosts & Gravestones Night Tour for an evening of spooky fun as we transport you to some of the city’s most haunted spots. 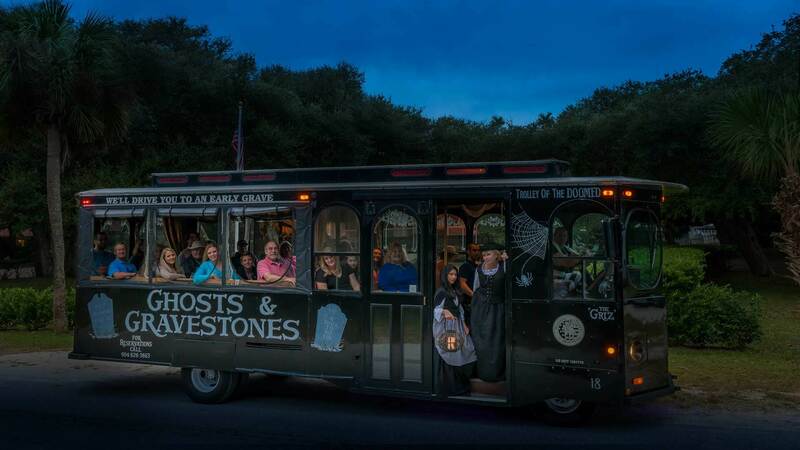 Aboard the Trolley of the Doomed, your costumed ghost host will share the eerie tales of the ancient city’s haunted past and guide you as you explore the The Old Jail, the Old Drugstore and Potter’s Wax Museum—where many guests have experienced paranormal encounters.